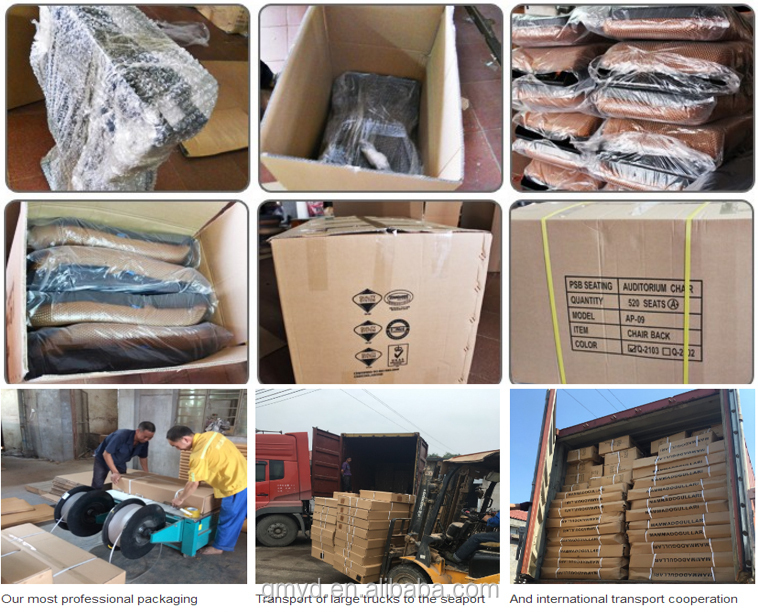 1, Anti-crash packing, each parts packed with foam inside for protection, outside with double strong layers carton boxes , Carton boxes print with the goods Logo and description, inside with instruction manual easy for assemble. 2, as your requirements. GMYD continues to seek the tech-innovation. There are more than 30 core innovations from GMYD over a decade. Each one of innovation has led to the industry to imitate and follow. Meanwhile, we are glad to bring the happy & health from tech-innovation to more clients. Please feel free to contact with me for any questions. GMYD Children Furniture Tech. 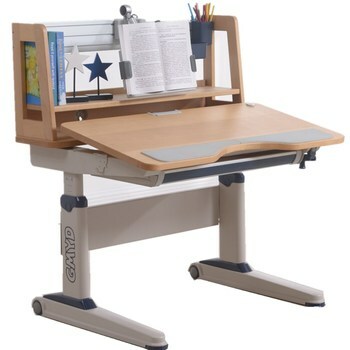 Co.,Ltd, located in Liaocheng China, is a leading developer and professional manufacturer of height adjustable study desk and ergonomic chair. 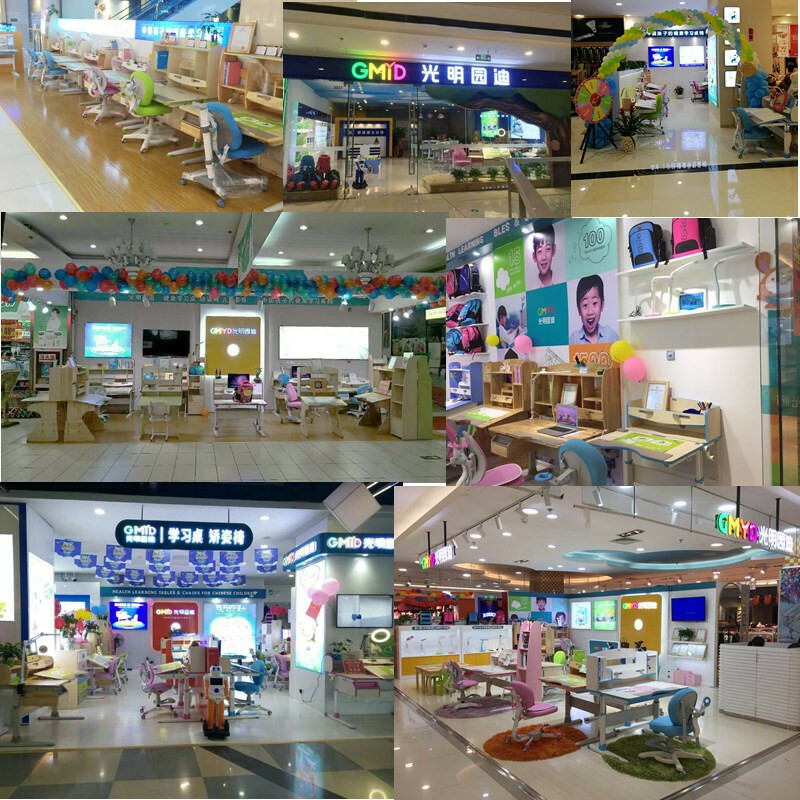 GMYD, founded in 2002, with 16 years experience in kids healthy study industry, have obtained 38 exclusive patented technology and over 1000 franchisees are set up in China so far. 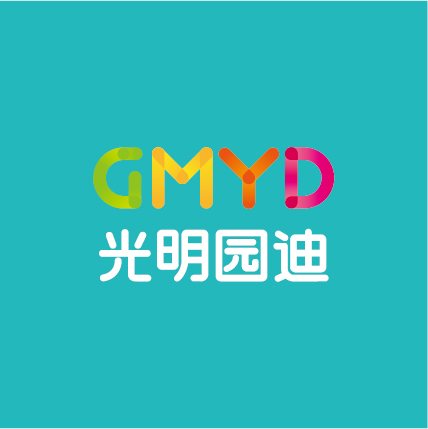 Covering an area of 100000 m2, GMYD is a fast-growing enterprise with over 1500 staffs including a professional R&D team with 45 persons. In recent years, GMYD has introduced a series of advanced equipment including the German HOMAG electronic cutting saw, the 2,000-ton hot pressed machine ,the FENGCHAOW UV paint-coating lines and so on. 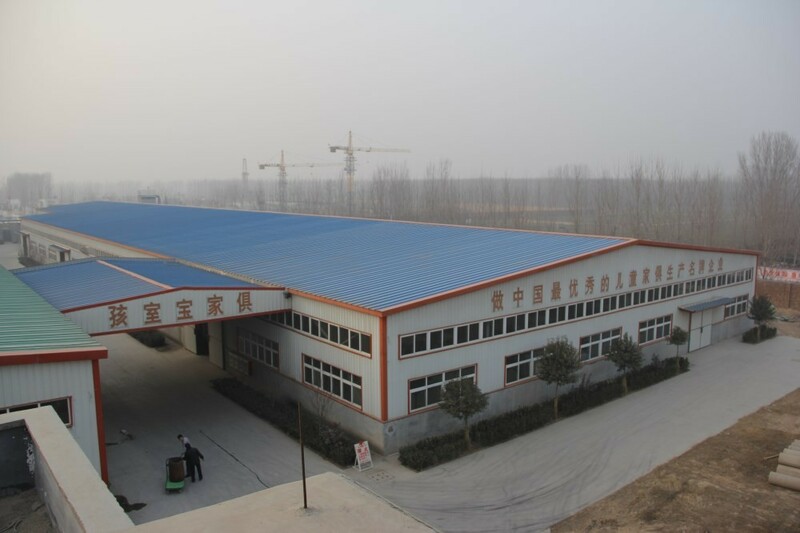 Now the annual production capacity is 500,000 sets. In the idea of “Healthy Study,Happy Growth”, GMYD is seeking for the best material from all over the world for their products. Such as AA beech wood from Germany, rubber wood from Thailand, slider way from Lambert, damper from Suspa, venner from Schattdecor, etc. 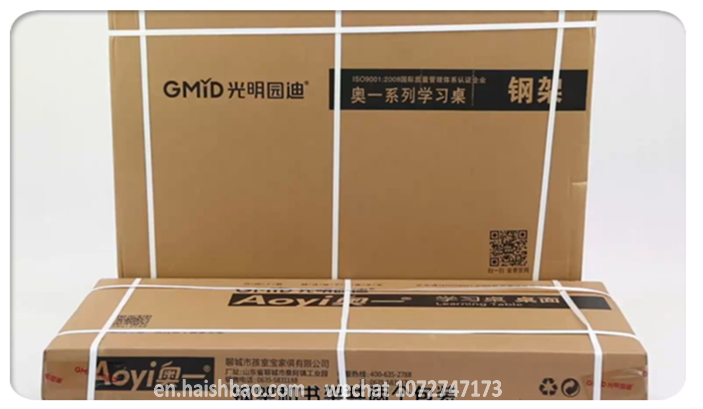 GMYD pays attention to the environment protection very much.The formaldehyde emission is 0.5 mg/L with E0 class. And also GMYD have obtained ISO,SGS,TUV certificates until now. good services, reasonable prices to every customer, create nice future together. A: Normally in T/T 30% deposit, 70% balance before loading; L/C; OA; trade assurance acceptable. Q6. How does your quality control? A: We have a professional QC team with 5 members to test the products and packages before delivery. 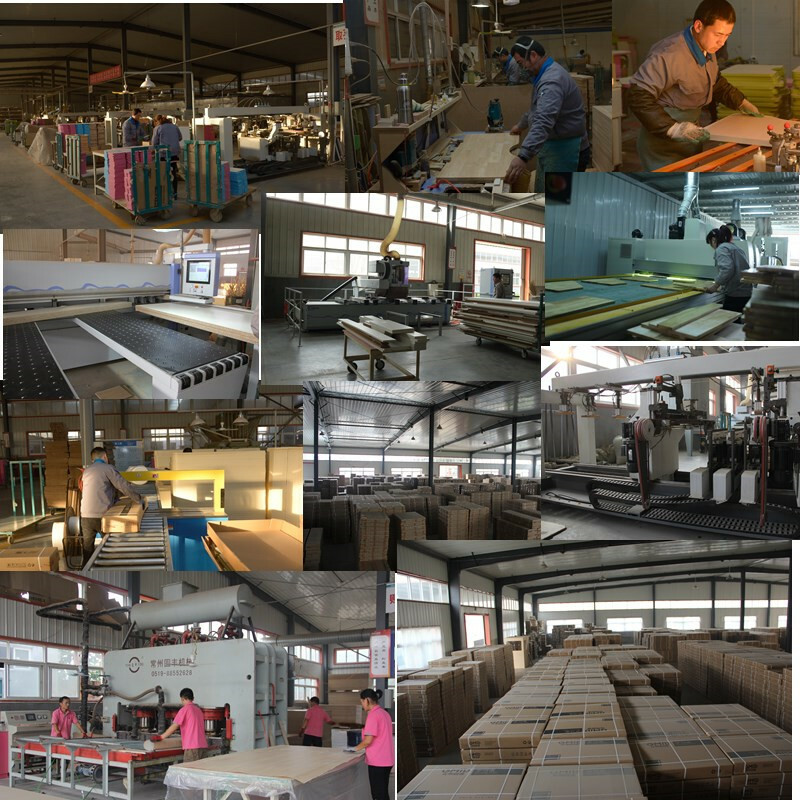 We will control the goods quality during all the mass production. 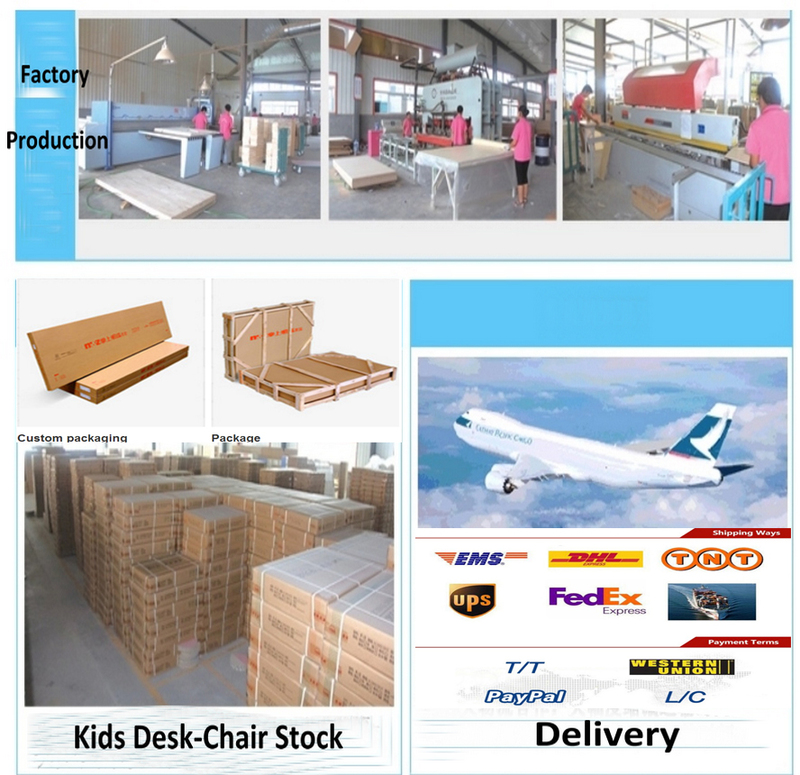 we guarantee our customer 100% satisfaction on all our products. Please feel free to feedback us immediately if you are not satisfied with Lelian's quality or service, if the product does not meet the contract requirements, we will send you a free replacement or give you compensation in the next order. For foreign orders, we ensure most accessories. 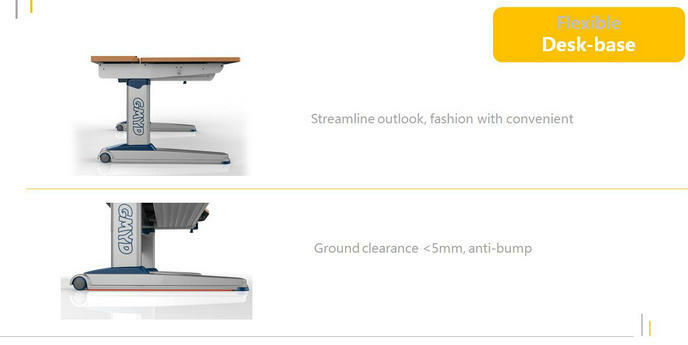 In some special case, we will give discount as a solution.